Leven’s is the latest opening from Thai Lemongrass and Time 4 Thai operator Carole Tong, offering what’s described as ‘Thai Fusion Cuisine’ in a highly designed setting boasting moody purple lighting, sparkly wall paper and sleek wood. The menu is fairly unconventional, incorporating Italian, Scottish and Asian elements: there’s massaman curry served with mashed potato, a chicken curry lasagne and cod in prawn lemongrass sauce. It’s at 30–32 Leven Street, 0131 229 8988. A couple of new delis to report in Glasgow. At 25 Hillfoot Street in Dennistoun, Nutmeg is a small, friendly deli-café run by Gillian McGarvey featuring takeaway meals and snacks freshly cooked and prepared on site. 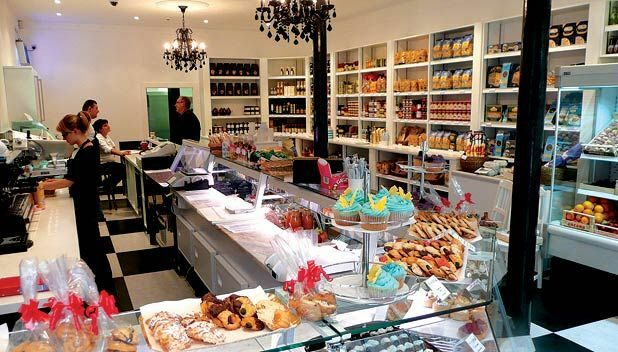 At 691 Great Western Road, meanwhile, a block up from Òran Mór, new ‘continental grocer’ La Cucina is also cooking an impressive array of takeaway food on site as well as stocking a large range of specialist Italian, Spanish and Greek deli food.